Dominic is nothing if not brutally honest. See the system in this House isn't at all like what we think of as justice. There are no trials, no weighing of evidence. Culprits are usually caught and killed as soon as possible. This system has kept the crime in Lord Damien's House very low. Cabal would already be dead if Damien had perished. How to Reach/Support My Work! As you guys know I've been doing comics for almost 12 years. That's countless hours turning my written works into graphic novels to see for free! I love sharing my work with my readers. But did you ever want a more immediate way to communicate with me? Ask Questions? Give feedback/suggestions? Well I do have a Darwin Comics Discord channel where you can do just that! 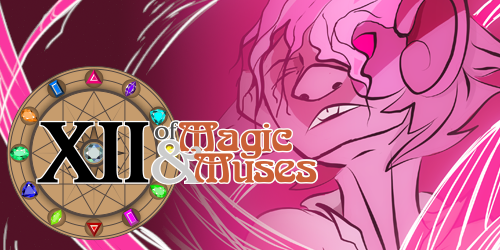 Additionally I have a way that you can help me validate the time it takes me to turn out two comics a week and help me keep my hosting paid for! Please stop by my Patreon and see what it has to offer my supporters! If nothing else leave me a comment and let me know how you feel about the story so far! :) I really do appreciate each and everyone of you who stops by and reads my comics! 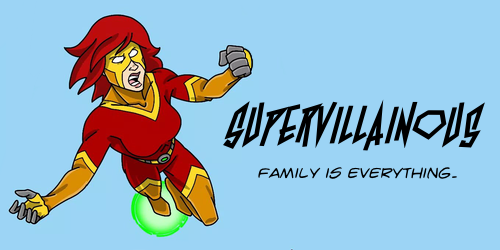 SupervillainousThe Crimson Claw is a family man, a self-made supervillain, and accidental savior. Now it’s time for the next generation to take up the family business!